Fidel Castro: ...los que no se adapten... al esfuerzo y al heroísmo de una revolución... ¡No los queremos! ¡No los necesitamos! Q: Did Omar intentionally set Tony up with Hector the Toad aware that Hector would kill Tony? Q: Why did Tony say his mother was dead when he was being interrogated at the beginning? Q: What are the differences from the 1932 Scarface? 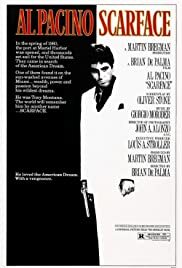 Pacino gives an amazing performance that is both comic and tragic in this remake of the 1932 classic about corruption in America. Brian De Palma updated the original Prohibition story to the era of the Mariel boat-lift and the heavy traffic in drugs that still infest the United States. 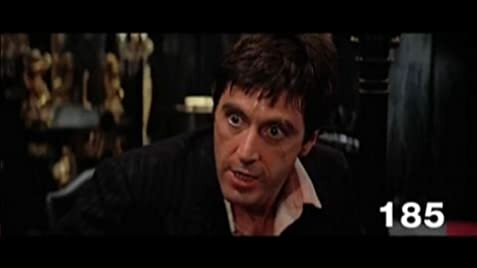 The film is an uncompromising revelation of humanity's dark side as Pacino's character learns never to underestimate the other guy's greed. He neglects to learn the other important lesson -- never get caught in the vice you are pushing on others. Pacino's character wants the world and everything in it. That's what he gets. We are reminded to beware of what we wish for. The film is violent but never makes drug dealing seem glamorous. 113 of 171 people found this review helpful. Was this review helpful to you?